Please come along, have a drink and meet some people! The Big Hither Green Christmas Quiz! 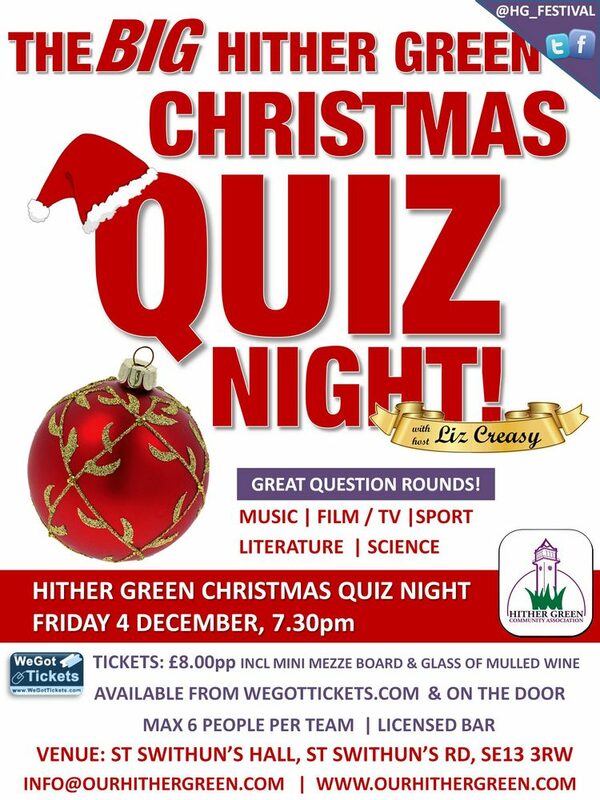 Round up your friends and help get the Christmas Season off to a lively start by coming along to the BIG Hither Green Christmas Quiz Night! Tickets: £8.00 and includes a mini Christmas mezze board & a glass of mulled wine. Available from wegottickets.com & on the door. Christmas Trees in the Hither Green Christmas Shop! Great news! 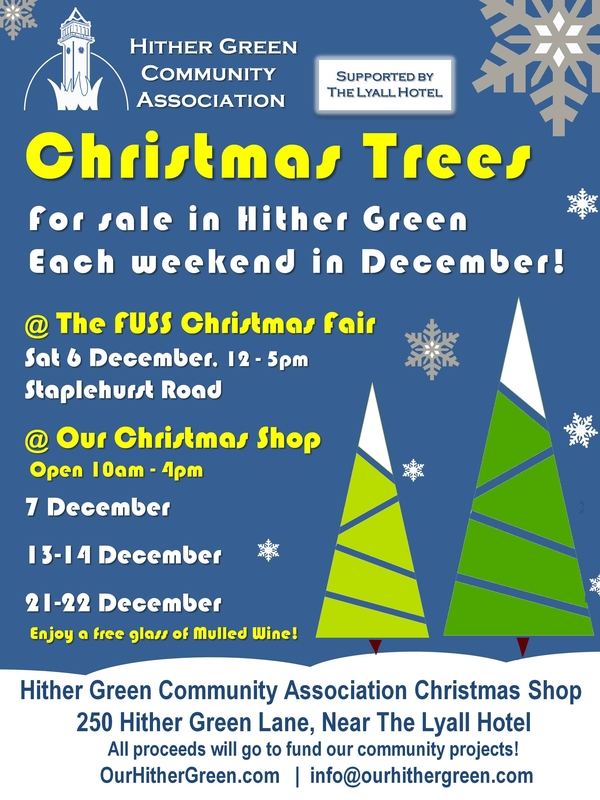 Once again the Hither Green Community Association will be selling Christmas Trees locally. Thanks to The Lyall Hotel we have secured 250 Hither Green Lane and will be selling Christmas Trees from £35. We shall be there with a selection of first class trees for sale! Come and enjoy a glass of mulled wine when you collect your tree! The HGCA team will also have brilliant new Hither Green mugs for sale. A Hither Green Festival event. Open Gardens Sunday is always one of the highlights of the HG Festival. Locals visit gardens and pick up ideas about what is possible in their own gardens. So if you live in Hither Green and are happy to welcome fellow gardeners, do get in touch! Contact: info@ourhithergreen.com to put your garden on the Open Gardens Tour. The full Hither Green Festival Programme has been announced. 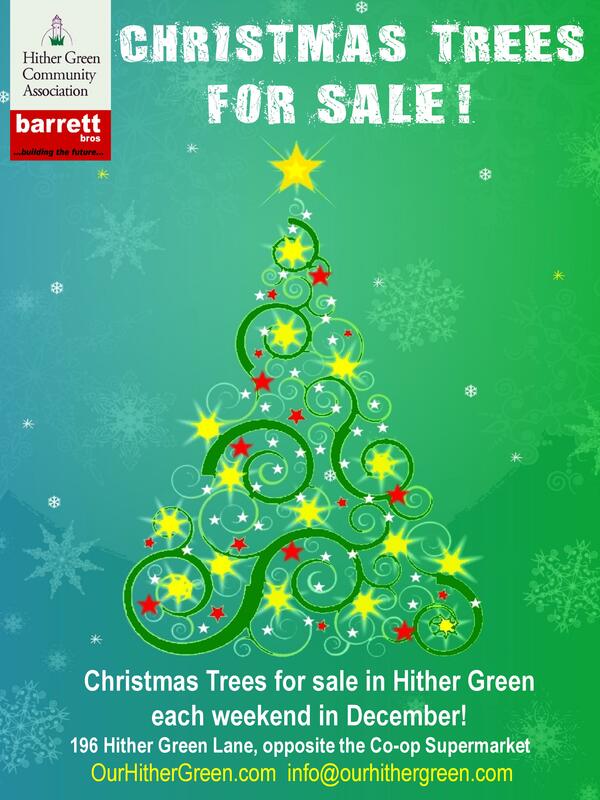 Christmas Trees for sale by the Hither Green Community Association again! Volunteers from The Hither Green community Association will be selling Christmas Trees again this year. Once again Barrett Bros Builders have kindly allowed us the use of their premises. Location: 196 Hither Green Lane opposite The Co-op Supermarket. Great trees at great prices and best of all you wont have to lug it miles to get home! SATURDAY 19th OCTOBER This weekend there will be community gardening on both sides of Hither Green Station. 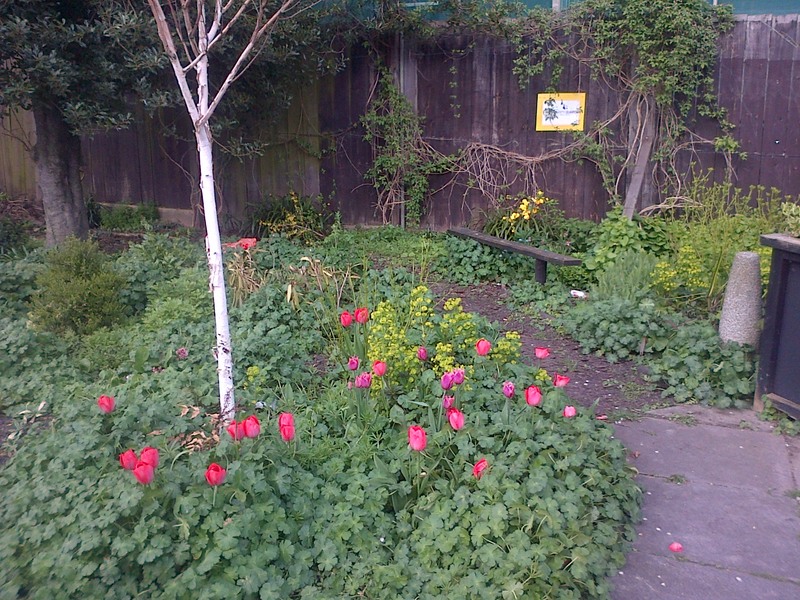 The HGCA will be planting several hundred bulbs in the Springbank Road Community Garden and the planters by the station. Meet 11am at the garden, families welcome. Refreshments provided. Ever wondered who keeps the planters looking great? Always wanted to help but didn’t know how? Now is your chance! Drinks for both groups in the Station Hotel afterwards. 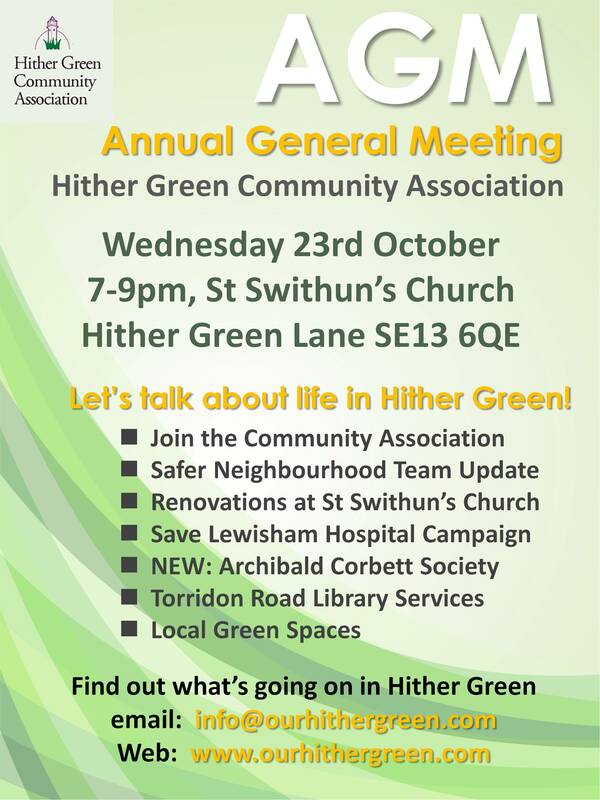 Hither Green Community Association- AGM All welcome! Come along to the Hither Green Community Association Open Meeting! Join us, 11-2pm at the Springbank Road garden.